Online Casino Reviews – Can They Really Be Trusted? Online casino reviews are often touted as a quick and easy way to determine where online gamblers should place their wagers. On the surface, this seems like sage advice. After all, it can take a fair amount of time to thoroughly test each possible gambling destination. Not only do you need to evaluate the games, you also want to examine the payment options, promotions, and the quality of customer service. 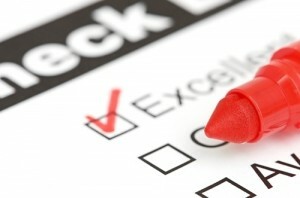 Done properly, online casino reviews can be a huge time saver. And, when done by expert reviewers, they can also uncover pros and cons that might otherwise be missed by a novice gambler. So what’s the problem, right? Well, if the online casino reviews are unbiased then there’s no problem at all. Unfortunately this isn’t always the case. Affiliates for online casino companies have been known to provide positive reviews solely based on the financial relationship they have with the casino. The affiliate may write online casino reviews that claim the games are better than they actually are, that the service is excellent when it may be sub-par, or that the casino is reliable and trustworthy when they might actually have a history of complaints. The affiliate’s goal is only to get you to register and deposit at the casino. Once they accomplish this the casino will either pay them a flat amount for each player or they will pay a percentage of the profits generated by that player. Whichever casino pays the most, gets the best review. Step One: Knowing when online casino reviews can be trusted is no simple feat. These phony reviews can be pretty convincing at first glance. But there are a few tips you can follow to sniff out a bogus one from a legitimate one. First of all, if there is a promotional banner or link accompanying the review hover your mouse over it and then look at the web address that’s displayed. Does the url link directly to the casino (i.e., www.casinoname.com)? Or, is it followed by a bunch of characters (i.e., www.casinoname.com/?c=123&s=home). If it’s the latter, then it’s likely an affiliate links, which tracks your information and makes it possible for the site owner to be compensated by the casino for the lead. Again, this doesn’t necessarily mean that the online casino reviews are biased. It merely suggests that there is a possibility that it is designed to encourage you to register at the target destination. Step Two: An online casino review that only highlights the positive aspects of the casino is also suspect. If the reviewer only has praise and doesn’t indicate any areas for improvement then you should be a bit skeptical. It’s rare that an online casino will score perfect marks in all areas. They might have great games but lack great customer service. Or they may offer exceptional customer support, but don’t offer a broad range of payment methods. Nobody’s perfect and a good review will give you the information you need to make an informed decision. Maybe it doesn’t matter that there aren’t a lot of different payment methods available. As long as they accept your particular payment method you might want to give that casino a whirl; especially if they rate high in other areas. Step Three: If you’re still not sure whether or not you can trust an online casino review try playing for free. You won’t have to deposit any of your money and you can compare your experience to that of the reviewer. If you identify the same highs and lows as the reviewer then you can probably rely on their other reviews as well. Once you identify reviewers you can trust you can benefit from their experience and save your valuable time for playing!